Pinnacle Pointe - NEW RENTAL! Pinnacle Pointe is located at 4700 feet above sea level and offers a stunningly beautiful 180-degree mountain view atop the prestigious Crown Pointe. Magnificent custom log cabin just minutes from downtown West Jefferson and situated at almost 4000 ft in elevation the cool mountain breezes will keep you cool. Boone & Blowing Rock is a short drive away for shopping and dining. Spacious log cabin minutes to Blue Ridge Parkway, Boone & Blowing Rock. Features bubbling hot tub, ping pong table, WIFI, and large landscaped yard for outdoor receptions or just a leisurely walk. Minutes to skiing, ziplining, hiking, biking and ASU. Modern amenities and all the comforts of home can be found in this spacious log cabin overlooking the Blue Ridge Mountains and Bluff Mtn Nature Preserve. West Jefferson is only a five minute drive and Boone or Blowing Rock is a 20 - 25 minute drive. 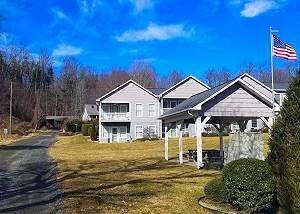 RiverSide Retreat - New Rental!! Enjoy the New River from this riverfront cabin that offers bubbling hot tub, pool table and spacious enough for the whole family. Peaceful Easy Feeling - New Rental! You will feel like you have stepped into your own private oasis when you arrive at this unique property. 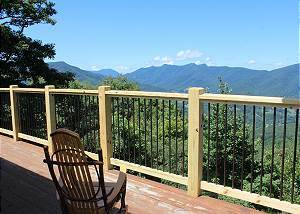 Situated only 3 miles off the Blue Ridge Parkway near Jefferson, NC this park-like setting is yours to relax, unwind and enjoy. 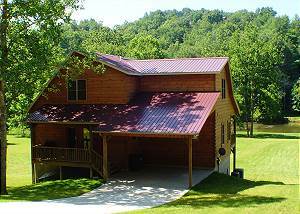 Luxurious 3 level cabin with breathtaking views and just minutes from Todd, West Jefferson & Boone! 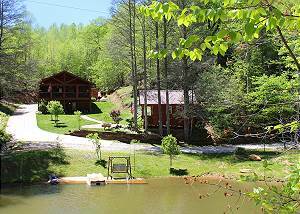 Features include theater room, hot tub and close to RiverGirl Fishing Co. for those looking for outdoor adventures. NEW RENTAL! 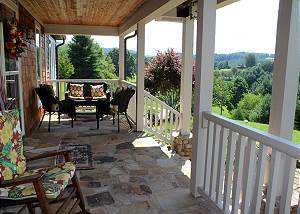 Enchanted Elegance is a spacious, elegantly furnished country style mountain home with almost 5000 square feet, perfect for family vacations when ordinary just isn’t good enough.